Are you using Jetpack on your WordPress site? 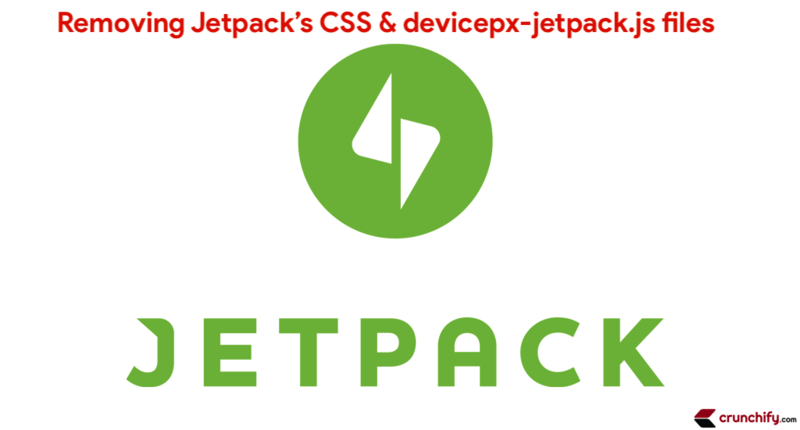 Starting Jetpack 6.9 (January 2019), Jetpack has improved performance by concatenating all CSS Jetpack needs into one big file. Well, Jetpack is one of the best open source plugin developed by WordPress.com developers and with more than 40 enriched modules built into it. You just need to install Jetpack and that’s it. It works just out of the box. Even there is a granular control if you want to use like Disabling WordPress stats from Setting tab and more. 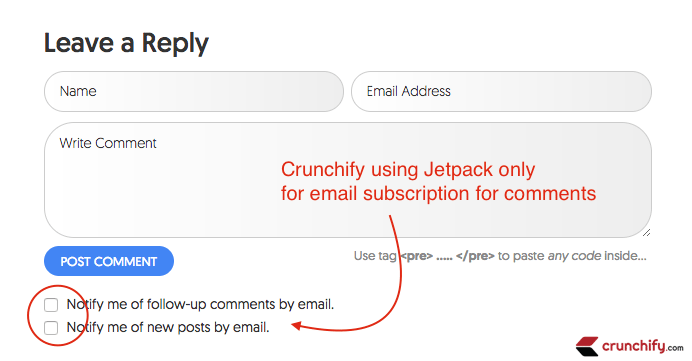 On Crunchify, we are using Jetpack with only below features. By default Jetpack adds two files to your site and loads on every page. Have you ever wondered what is devicepx-jetpack.js? How to remove Jetpack CSS? For my usage – I absolutely don’t need these two files loading on each page. Follow below steps to dequeue and stop loading both files. Just add below code block to dequeue devicepx-jetpack.js file. In order to disable jetpack.css file add below line to your theme’s functions.php file. Is there any issue stop loading both files? Well, it depends. Jetpack has one big giant jetpack.css file for all functionality. For me I just wanted one line of code from that file which I have placed in my theme’s style.css file. Check out if you see any styling issue after performing above steps. Just add those CSS properties manually and you should be all good.